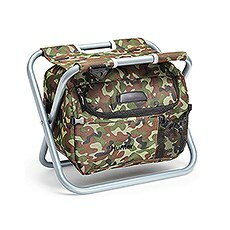 Our collection of Cooler Chairs and Insulated Bags are those practical gifts that will get loads of use. 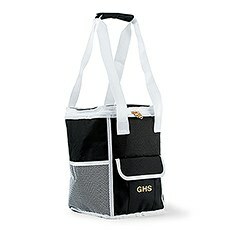 Do you have someone on your gift-giving list who attends frequent outdoor sporting events? 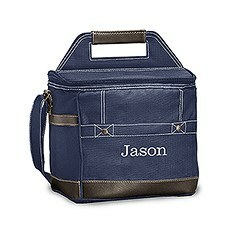 Are you looking for an upgrade to your brown paper lunch bag? 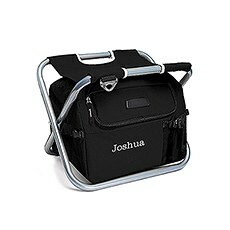 Looking for a gift to give your bridal party that is equal parts utilitarian and stylish? 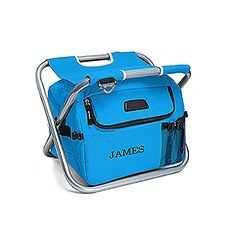 Cooler chairs and insulated bags make terrific gifts for many recipients on many occasions.One-part chair, one-part cooler and totally clever, our cooler chairs are one of our most popular items. 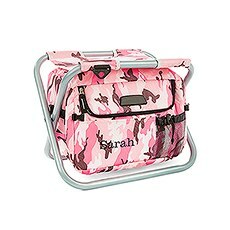 Available in a range of solid hues and fun patterns, they double as a comfy seat to sit on when there are no chairs available and hold up to 24 cans of your favorite beverage. When you pre-chill them before placing them in the cooler compartment, they will remain cool for hours. 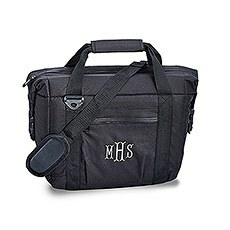 They can be customized with a name or monogram in whatever thread color and font you prefer. Take them along camping, tailgating, fishing or golfing.For a great groomsman gift that your best guy pal will use for years, shop our Loden Cooler Bags. 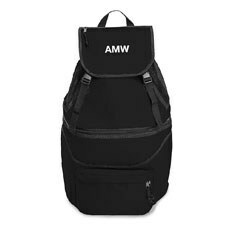 Compact and highly portable, they have room for eight cans and feature an adjustable, padded shoulder strap for easy transporting to the beach, picnic or outdoor concerts. Quality-made throughout, our personalized cooler bags even come with an attached metal bottle opener and a front pocket for extra storage. 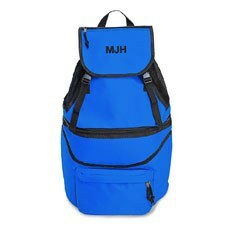 If you are looking for something larger, give our 12-pack cooler a try.Whether you are going to a potluck dinner or are heading to a romantic lunch in the park, our expandable cooler backpacks are a hands-free option for transporting your tasty treats. 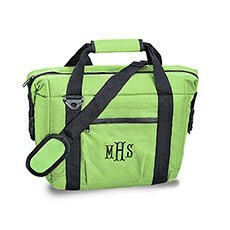 Designed with plenty of insulated compartments and pockets, you will be able to keep your food and beverages at their ideal temperature. 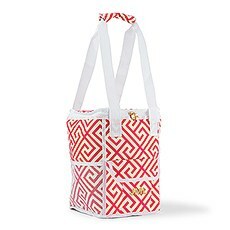 Do not forget to monogram them!